ARE YOU GOOD AT MIXING? Good? We’re the best! Check out our before and after sample player on the home page. Go to packages, place an order and upload your recordings. Once your material is verified we'll work our magic and send you an Audition MP3. You can approve it or submit tweaks, we'll then revise the mix for you. Once approved we'll send you the full quality Master as a .WAV (24bit 44.1k) file. HOW MANY REVISIONS WILL I GET? 2 mix revisions are always included. You can get Unlimited Revisions within a (month window) by selecting the option on the packages page. HOW LONG DOES IT TAKE YOU GUYS TO DELIVER? Once your material is received and verified it'll typically take us 7 working days for Mastering, 7-10 working days for Mixing & Mastering, 10-15 working days for Remix & Production, to deliver the first Audition File. Revisions take extra time. For multiple songs or production work it will take us reasonably longer and it should be discussed with us beforehand. We also offer Rush Service with a guaranteed 2 Business days turnaround for Mix & Mastering and Mastering Only. Rush Service on Remix & Production is 5 business days. Please contact us for Rush Service availability before ordering. DO YOU OFFER MONEY BACK POLICY? We no longer offer money back guarantee. CAN I CALL YOU ON THE PHONE? Yes you can. Call us on +44 (0) 844 8000 889 (Calls cost 5p per minute plus your telephone company’s network access charge). Our opening times are Mon-Fri 9:30am to 6:30pm UK time. WHAT EQUIPMENT HAVE YOU GOT? We also collaborate with several manufacturers and distributors, including Linx, Prism Sound, Thermionic Culture, Chandler Limited, GIK Acoustics, Nova Distribution, Shure Distribution, KMR Audio, Manley, Yamaha, Steinberg, Native-Instruments, Slate Digital, Sound Toys, Izotope, . This gives us access loads of incredible gear, both modern and vintage. Oh and we have loads of keyboards, guitars and percussions too. CAN I PRESS A CD FROM YOUR MASTER? Yes. We can compile a fully Red Book-compliant Production Master CD (PMCD) supplied on a high-quality HHB CDR74 Gold compact disc or via digital delivery (DDP file). Get in touch with us for a quick quote. MY VOCALS ARE A BIT OUT OF TUNE. CAN YOU EDIT THEM? Absolutely. We use AutoTune®, Melodyne® and Ableton Live® to manually edit your tracks to perfection. Just select the option on your package. Don't worry – our producers do this very skillfully and patiently. We won't make you sound like Cher… unless you want us to! ARE YOU AN OFFICIAL MASTERED FOR ITUNES PROVIDER? Yes, we are on Apple's official list. CAN YOU REMIX OR PRODUCE MY SONG? You bet! House? Rock? Pop? Latin? Electro? Orchestral? Just choose a style or a reference track, and we'll produce an arrangement that will knock your socks off. 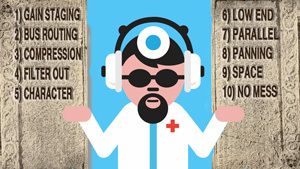 MIXING AND MASTERING TIPS: HOW SHOULD I PREPARE MY MATERIAL? For Mastering Only, just send us a stereo audio file at the best quality available. Please NO LIMITING on the mix bus! Don't hit 0dB too hard – leave 3 to 6 dBs of headroom for us to do our thing. For Mixing And Mastering please export multiple tracks from your DAW. If you're not sure how to do it, check our videos on how to export all tracks in Logic, Cubase, Ableton Live and Reaper. We prefer it if you turn EQ, compression, delays and reverbs off. You can leave other effects that have a musical value (e.g. flanger, chorus etc.). Please make sure that the individual tracks and folder are correctly named, and include your original demo mix, along with other reference tracks and your mix notes. Ideally you would name the folder ‘ArtistName_SongName_BPM’, then zip it (e.g. TheHooligans_BabyBaby_125BPM.zip). HOW DO I SEND MATERIAL TO DOCTOR MIX? 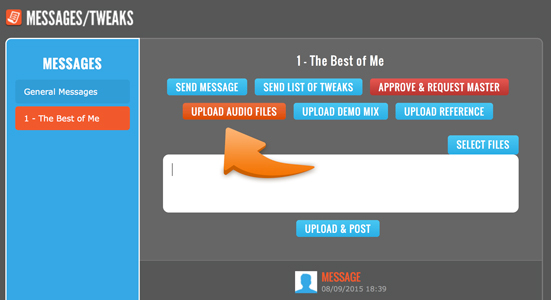 here you can upload your material, send a message with your notes about the song, send list of tweaks for revisions. - Please use "Send Message" to communicate with the production team. It's the fastest and most direct to talk to us about your music. - Once we've verified your files we'll manually mark the song as "Material Received"
If for any reason this shouldn't work then try then try clearing up cache and cookies on your browser. If it still doesn't work then send your material the "old" way: go to wetransfer.com and upload to team at doctor mix dot com. 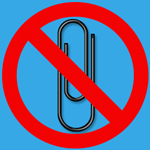 Please don’t send us tracks as an e-mail attachment: our system will reject those e-mails. WHO SHOULD I CREDIT FOR DOCTOR MIX's WORK? Credits for our work are very much appreciated! Please credit ‘DoctorMix.com’ (e.g. ‘Mixed and Mastered by DoctorMix.com’). CAN I HAVE THE SESSION FILES AT THE END OF THE JOB? 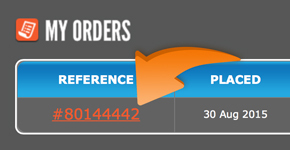 Yes, just select the Multi-Track option when placing your order. We'll print all separate files inclusive of analogue and valve treatment, so that you can recreate the mix on any DAW. HOW GOOD WILL MY MUSIC SOUND?